The government is aiming to stimulate investment in various sectors, in order to solve the various challenges facing the state. One of the most prominent obstacles is providing energy for the domestic market, and foreign partners’ dues in the petroleum sector. In light of that, Daily News Egypt met with Minister of Petroleum and Mineral Resources Tarek El-Molla to discuss new partnerships in the petroleum sector, the investment of foreign companies, and the sector’s future outlook. It was announced that the ministry seeks to sign a new partnership agreement to look for gas in Iraq. Can you tell us more details about that? The Ministry of Petroleum and Mineral Resources signed a partnership agreement between the Egyptian General Petroleum Corporation (EGPC) and the Kuwait Energy Company in the oil and gas exploration project in the Siba concession area, south of Al-Basra, during September. We completed most of the approvals required for the agreement, in which Kuwait Energy Company will cede 10% of its share in the findings to EGPC. The size of the reserve in the Siba concession is estimated at roughly 4.1tn cubic feet of gas and 8,000 barrels of condensate. The production process is planned to start in mid 2017. This agreement is the second partnership agreement with the Kuwait Energy Company in Iraq. In the first agreement─which took place in September 2015─Kuwait Energy had ceded 10% of its share in concession area number 9 in Al-Basra for producing crude oil. 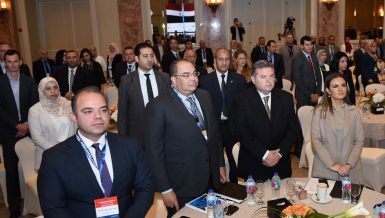 The Ministry of Petroleum seeks to pave the way for the petroleum sector to find new sources for oil and gas outside Egypt, following the example of other countries, to increase and support the reserves and Egypt’s oil and gas production. Additionally, the ministry is opening up new areas for Egyptian oil companies to work abroad. This will be an important step that will contribute to securing oil supplies from outside Egypt to cover part of the domestic market’s needs, and increasing the added value on the revenues for the benefit of the Egyptian economy. Will some portions of the foreign partners’ dues be repaid before the end of 2016? Portions of the dues to the foreign partners will be repaid in return for their oil and gas productions’ share before the end of 2016. I cannot determine the amount that will be allocated by the Central Bank of Egypt (CBE) and the Ministry of Finance, which depends on the US dollar packages coming to Egypt [from the International Monetary Fund and the World Bank, among other sources—though this is subject to negotiations] . The dues owed to foreign partners amounted to $3.4bn as of the end of last fiscal year (FY). We regularly communicate with the companies to reassure them of Egypt’s commitment to repay the debt as soon as possible. We are expecting to meet with the International Monetary Fund (IMF) mission to discuss the status of the energy market in Egypt and the future plans to cover the growing needs. The CBE clarified that they will provide the required US dollars to import fuel and liquefied gas shipments, in order to meet the domestic market’s demands. How much are the Saudi Aramco shipments that Egypt obtained worth? Egypt obtained gasoline, diesel, and fuel oil shipments for roughly $860m over the past three months. This comes as part of the signed agreement with the Saudi side, which includes supplying part of Egypt’s fuel needs for five years. The agreement states that the value of the petroleum products will be estimated according to international prices at the time of the supply. It is agreed that Aramco’s shipments arrive punctually at the Egyptian ports to be unloaded and distributed within the domestic market, in order to cover the growing demand during the summer. The Ministry of Petroleum has signed a commercial contract with Saudi Aramco to provide Egypt with petroleum derivatives for five years with an interest rate of 2% and a grace period at least three years. 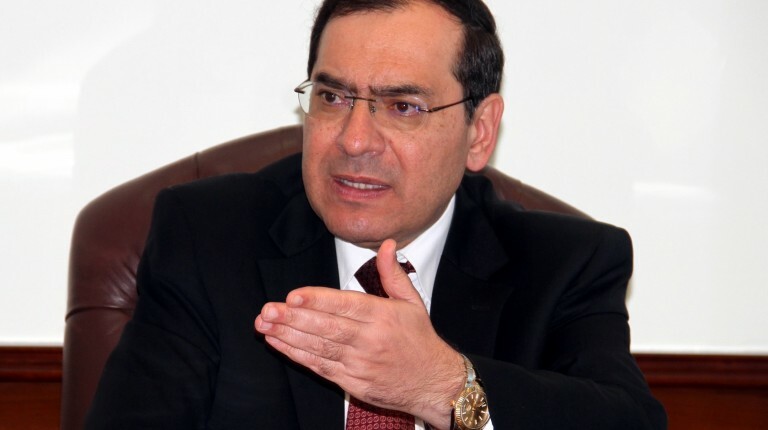 Egypt started receiving the derivatives in May, and the EGPC is obliged to repay the dues. This agreement comes after signing a financing contract between the EGPC and the Saudi Fund for Development, on the sidelines of the Coordinating Council’s meeting of the two countries, which was held in Riyadh in March. How much are the investments allocated by foreign companies and the public sector for the implementation of petroleum projects during FY 2016/2017? Investments of foreign companies during FY 2016/2017 are estimated at $8.5bn in the fields of research and development in the petroleum and natural gas sectors. This confirms the confidence of the partners in Egypt’s petroleum sector. The volume of investments of public sector companies reached EGP 9.3bn in FY 2016/2017, compared to EGP 3.4bn in FY 2015/2016. Egypt is a promising market with great potential, including raw material reserves, gas, and human resources. How much are the dues owed to the Petroleum Ministry by government authorities? The dues are estimated at EGP 60bn. The Ministry of Electricity owes the Ministry of Petroleum EGP 46bn in exchange for consuming gas, fuel oil, and diesel, as well as not paying the full monthly bills. Recently, a loan was obtained in the form of debt transfer from the Ministry of Electricity worth EGP 5bn. Banks deducted about EGP 1.25bn from it as an interest, and the Petroleum Authority paid it after obtaining approvals. The debt of the business sector in the Petroleum Ministry was estimated at EGP 6.3bn, while debts of the Egyptian National Railway Authority reached EGP 2.2bn, and debts of EgyptAir reached EGP 5.5bn for the amounts of fuel obtained and not paid for. Debt settlements are followed up with various government agencies. Can you tell us more about the agreement with Italy’s Eni to receive part of its dues in Egyptian pounds? The Petroleum Ministry has agreed with partners in Italian oil and gas company Eni to receive part of their dues in Egyptian pounds in order to spend it on local companies that carry out works in the Zohr project, like ENPPI and Petrojet. A monthly meeting is held by Eni’s officials in order to follow up on the phases of developing the exploration of Zohr in the deep waters of the Mediterranean Sea. The last meeting was held in July in Italy. Currently, Eni is implementing the Zohr development project in the concession area of Shorouk in Egypt’s territorial waters, with a production capacity of 2.7bn cubic feet of gas per day. The reserves are estimated at 30tn cubic feet. Zohr investments are estimated at $12bn until the beginning of production. After that, they increase to $16bn throughout the life of the field. It is expected to begin the first phase by the end of 2017, and complete the entire project by 2019. What petroleum projects are underway at the moment? The first phase of north Alexandria and the west of the Mediterranean Sea will begin operating in the fourth quarter of 2017, in order to produce 450m cubic feet of gas per day. The rest of the project will be implemented in the second quarter of 2019, making total production reach 1.3bn cubic feet of gas per day. The north Alexandria project is affiliated to British Petroleum (BP), German DEA, the Petroleum Authority, and EGAS. 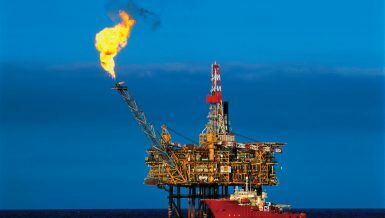 The project aims to produce about 900m cubic feet of gas per day, expected to increase to 1.3bn cubic feet and 17,000 barrels of condensates per day, with investments worth $11.3bn. Reserves reach 5tn cubic feet of gas per day and 55m barrels of condensates. The two companies of Shell and Apache are implementing the project of developing the Appolonia reservoir in the Western desert in order to produce 20m cubic feet of gas per day, with investments worth $25m. The first well JDT1-06H entered the production line with a daily rate of 6m cubic feet of gas. 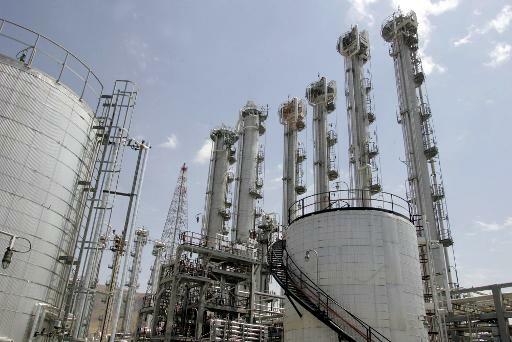 Italian Edison is implementing the project of developing the North Abo Qir-3 platform, to produce 80m cubic feet of gas per day, in addition to 3,500 barrels of oil and condensates per day with investments worth $220m. Its operation is expected to begin in December 2016. The development of the Desouk fields continues. The fields are affiliated to German DEA. The aim is to reach production rates of more than 200m cubic feet of gas per day, as well as maintain these rates. The investment cost of the project is estimated at $165m. The wells entered the production line in July 2015. It is planned that the rest of the wells would be added to the production lines in December 2016. The development of the Atul exploration, which is affiliated to BP, is underway, with a production capacity of 200m cubic feet of gas per day throughout the early stage of production, expected to increase to 300m cubic feet. Total investment costs are estimated at $3.8bn, including $1bn allocated for the early production phase, expected to begin in December 2018. The Egyptian company PICO is implementing the second phase of Al-Amal field project with a production capacity of 50m cubic feet of gas per day, and investments worth $118m. Its operation is expected to begin in April 2017. Continuing the implementation of Balsam field, affiliated to El-Wastani Petroleum Company, aims to produce about 100m cubic feet of gas per day, with investments estimated at $22m. It is expected to begin its operation by the end of 2016. Nawras field development aims to increase production rates to 700m cubic feet of gas per day, in addition to 6,000 barrels of condensates by the end of 2016, with investments worth $450m. The current production of Nawras gas field is estimated at about 350m cubic feet per day and 3,000 barrels of condensates. Italian energy giant Eni took over the development of North Port Said gas fields which have the capacity to produce 165m cubic feet per day, with investments of $500m. The project is expected to be completed during the current fiscal year. 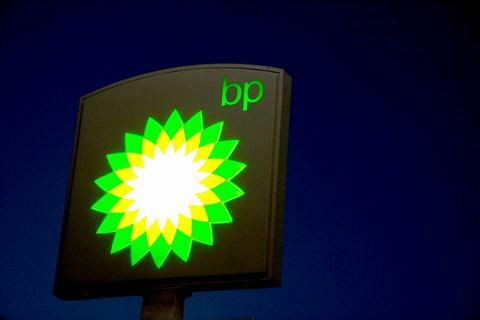 BP aims to finish linking the extracted gas from the third phase of Ras El Bar gas field to the national grid during the current month. The new phase will produce 110m cubic feet of gas per day and 400 barrels of condensates, with investments of $265m. The first well’s primary gas production is estimated at 60m cubic feet. 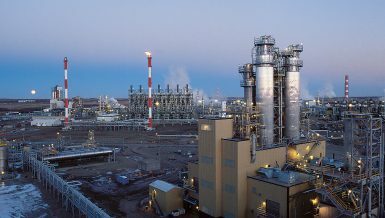 The General Petroleum Company (GPC) is implementing a project to process gases in Ras Gharib area to produce about 40,000 tonnes of petroleum products annually, including butane, condensates, and propane, as well as 4.3bn cubic feet of other gases, with investments of about $60m. The production is expected to start in April 2017. How much crude oil is imported from Kuwait? 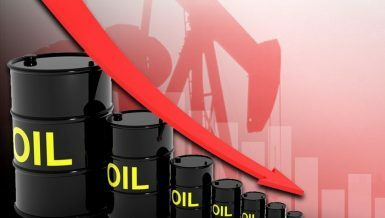 The amount of crude oil which is obtained from Kuwait has declined to 2m barrels per month, instead of 3m barrels, with a 9-month payment schedule. Egypt imports crude oil from Kuwait at the international price of Brent Crude at the time of purchasing the shipments. There are no specific prices mentioned in the contracts, and therefore, no financial benefits will be added. What is the current situation of the draft law to regulate the gas market? 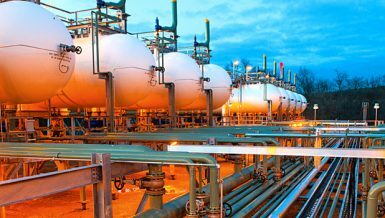 The State Council is currently seeking the Ministry of Finance and the Egyptian Competition Authority’s approval of the draft law on the regulation of the natural gas market, in preparation for submitting it to the parliament. The new draft law aims to create a competitive environment in the market, where qualified consumers enjoy the freedom to choose their suppliers. The regulation of the gas market requires identifying the stages of market liberalisation and allowing the private sector to supply gas to the factories, as well as offering equal opportunities for the participants in the gas market. The Ministry of Petroleum is currently negotiating to purchase the third gasification ship which will receive imported gas through Sumed Port in Ain Sokhna. 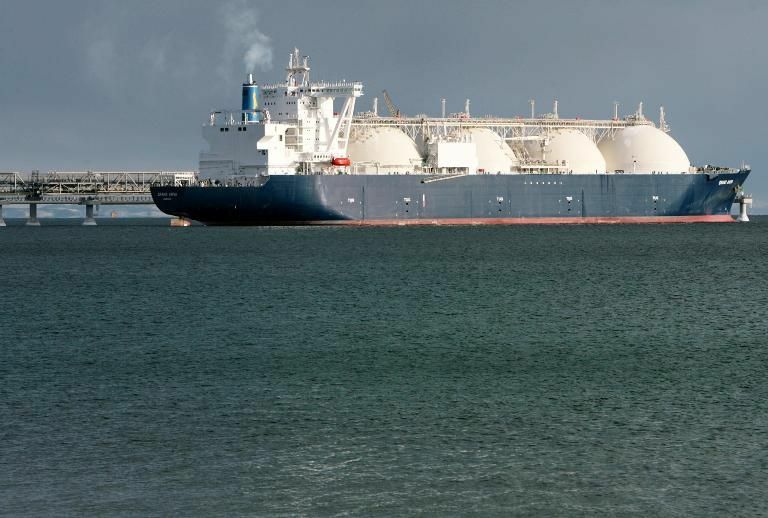 The private sector will be allowed to import gas shipments through gasification vessels, in exchange for paying transfer and transport fees to the national grid, which will be identified by the Gas Market Regulatory Authority. When will the second phase of smart cards be applied? All the oil smart cards have been printed together, and they will be distributed by the traffic departments. We do not need to implement the second phase now, as we managed to apply the first phase successfully. It involves automation, monitoring the delivery of petroleum products shipments from refineries, transferring them to warehouses, and the distribution to gas stations. The first phase has eliminated all fuel-smuggling during the transportation and distribution stages, and has tightened control over the distribution outlets. We now have our information network which shows where every litre of petroleum product goes, until it reaches the tanks in gas stations. The second phase of smart cards has nothing to do with the prices. This phase aims to help the citizens who drive cars to get fuel and control the market. We also want to know who the actual beneficiary of the petroleum products is, whether the industrial, agricultural, tourism sectors, or ordinary citizens. Only through this method, can we know the actual amount consumed by each sector. The card aims to collect clear and accurate databases, and therefore we can determine the best methods of dealing with the fuel issue. What is the situation regarding Centamin’s financial settlements? The audits between the Mineral Resources Authority and the company Centamin in Egypt up to the end of 2015 have been completed. We are currently reviewing the 2016 accounts. We have already completed the review of the first half of the year. It is planned that the split of production will start by the end of the audits in 2016. Egypt’s share is estimated at 50%, in addition to the 3% in royalty, as stipulated in the agreement. The total revenues Al-Sukari gold mine is estimated at $102m, including about $71.5m in royalties. When will Thani Dubai Company start the search for gold in its concession area? The Mineral Resources Authority has approved the financial and technical programs of drilling. Those were submitted by the Thani Dubai Company to search for gold in its concession area in the two basins in the Eastern Desert. The programme will start in September with investments of $11m. The Mineral Resources Authority plans to launch a tender for gold search in the Eastern Desert. It is currently reviewing the terms and procedures, as well as the agreement formula in preparation to announce it.